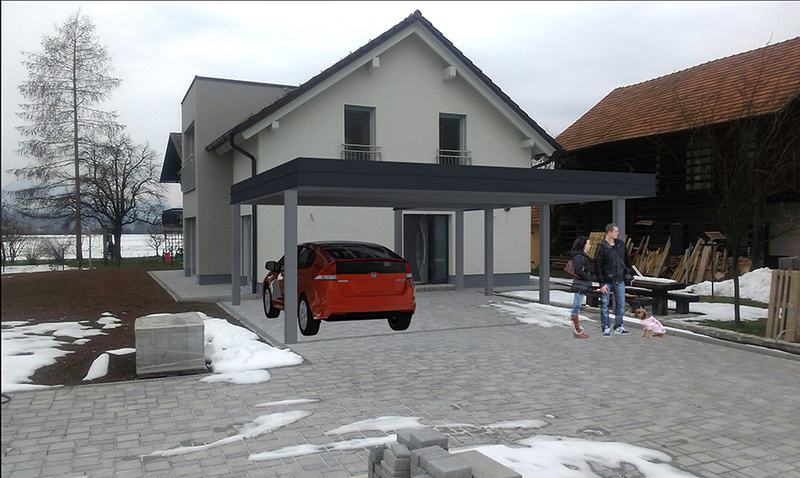 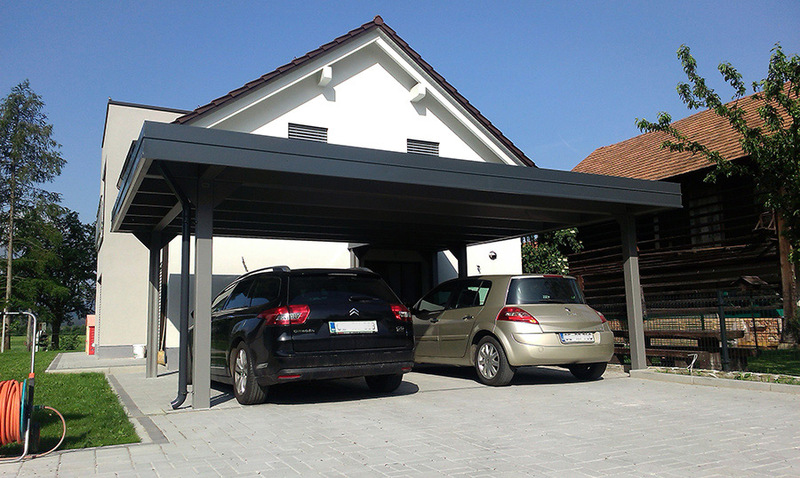 Carport roofs supported by four columns is the traditional, proven solution providing maximal stability and optimal parking space for one or more cars. 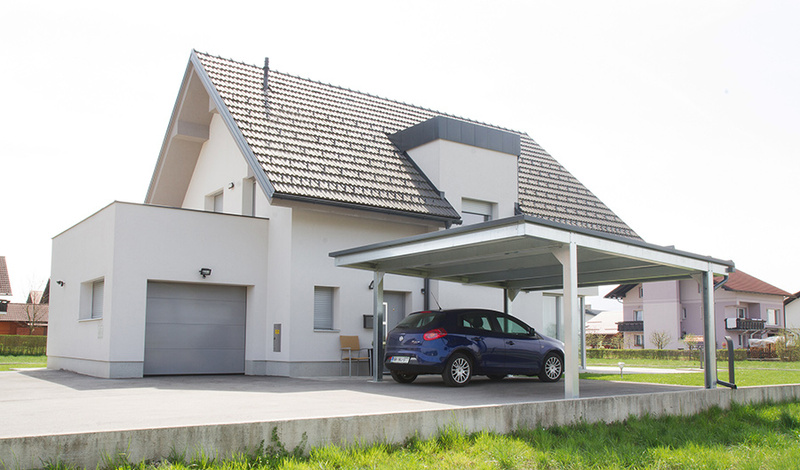 The steel beams come in various lengths/dimensions, so the roof dimensions can easily be adapted to the actual terrain and space available. 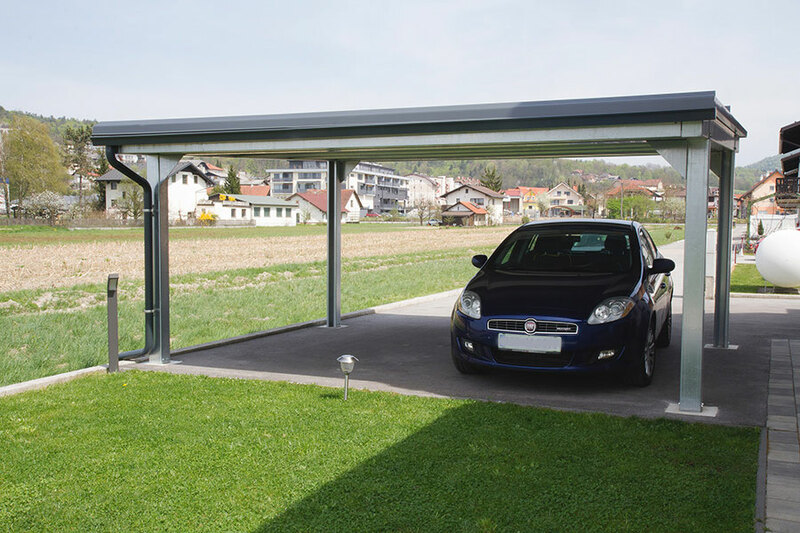 A condition for implementation are the pre-prepared point foundations so that the entire carport roof can be quickly and easily screwed together. 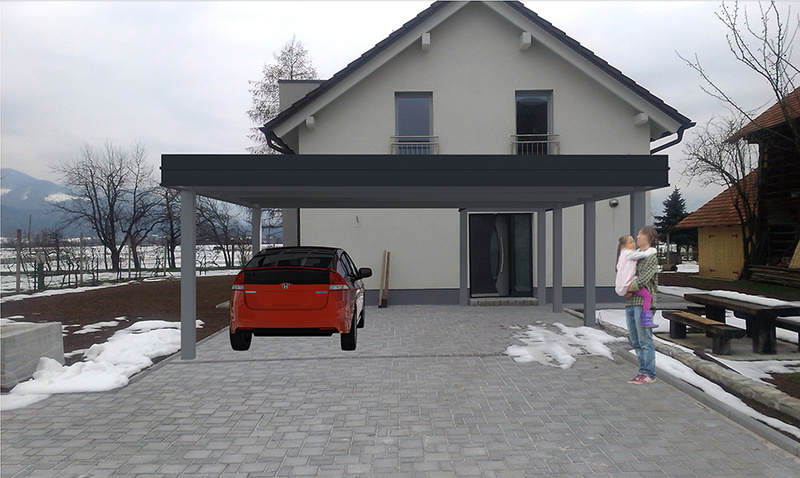 The pointed foundation, required for the 4-pillar roofs, is a small-scale, easy construction procedure. 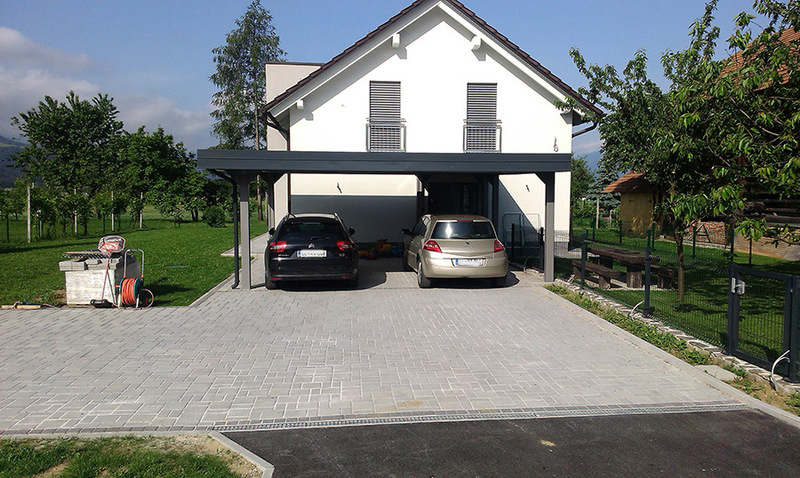 The construction is also provided with appropriate drainage.